The US Special Envoy to Ukraine Kurt Volker announced the expansion of military support to the Armed Forces of Ukraine (AFU) on sidelines of the Munich Security Conference on February 21, RIA Novosti reports. Volker said that the Trump administration lifted the restriction on supplying lethal weapons. This will help to extend the possibilities of the military support to Ukraine. In addition, the Javelin anti-tank missiles reported earlier will be only a part of such extended support, and thus much larger volume of supply is implied. The State Department representative added that the US’s goal is to fill the gaps in the armament of the Ukrainian army by raising its ability to defend its territory. 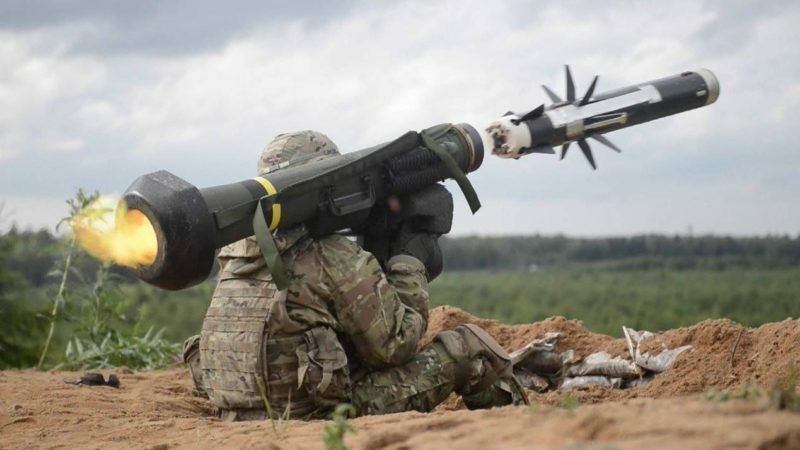 In December 2017, the United States confirmed its intention to supply $47 million worth of lethal weapons to Ukraine. In addition to the Javelin anti-tank missile systems, the supply plans included anti-materiel sniper rifle Barrett M107, ammunition and consumables. It should also be noted that over the past four years, the international assistance to the Ukrainian army has amounted to approximately $247 million. The share of the international aid in relation to Ukraine’s own military budget recalculated for 1 year is about 1%. This entry was posted in News from the West and tagged Classical War, Ukraine, USA. Bookmark the permalink.